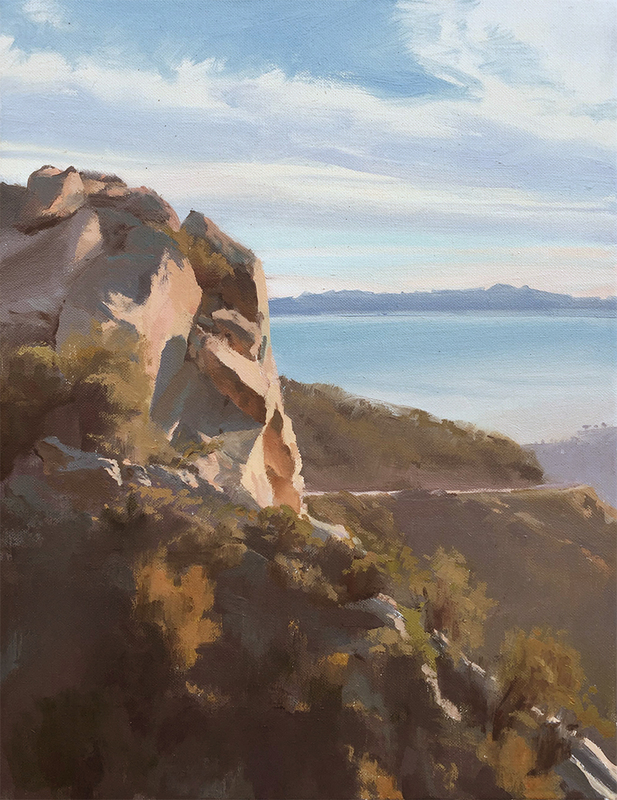 Erling Sjovold, Gibraltar Rock, oil, 18×14 in. 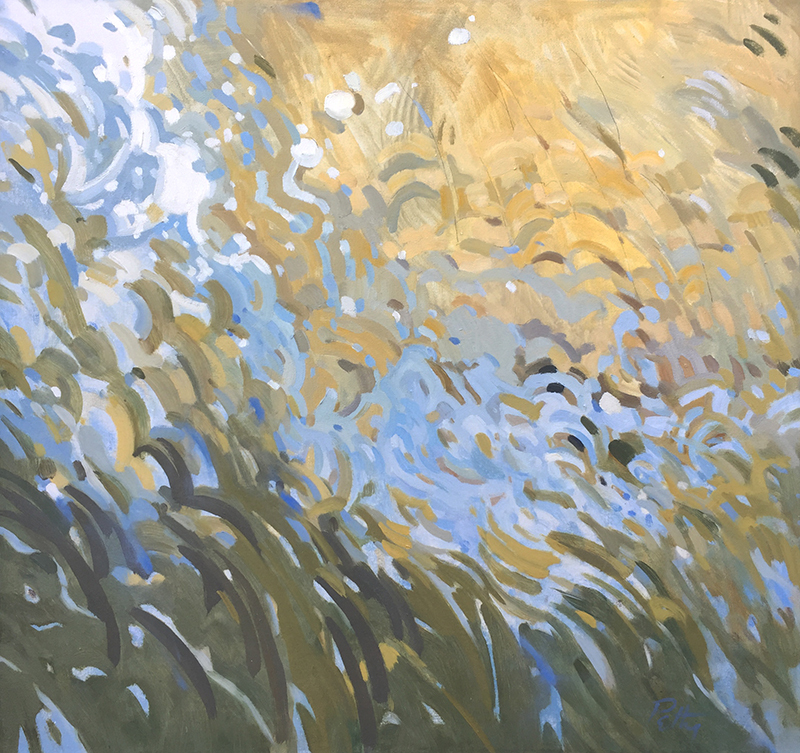 Marcia Burtt Gallery presents “Coast,” an exhibition of paintings inspired by the edge of a continent: a landscape in flux.We are promised calm respite in paintings by Ian Roberts, Erling Sjovold, Anne Ward, and Marilyn Turtz. They present the ocean as a shape that draws us in but leaves details to our imagination. The calm is broken in shoreline paintings by Ray Roberts, Marcia Burtt, Ann Lofquist, and Jeff Yeomans. The moving landscape is an excuse for energetic brushstrokes of whites and blues pouring over golds of rocks and sand. Patricia Doyle, Susan Petty, and Bill Dewey step closer, focusing on the surface of the water and detritus within; their abstracted pieces show us beauty without sentimentality. Slanted northwestern light plays off the water in atmospheric paintings by Randall David Tipton and Michael Ferguson, while Marilee Krause and Robert Abbott create atmosphere by exploring the brackish wetlands bordering our coast that buffer us from the turmoil of waves and tides. Susan Petty, Seeking, oil 30×32 in.